Technologies and Unique Features: Lighting Design, PV’s, Biomass, Rainwater harvesting. 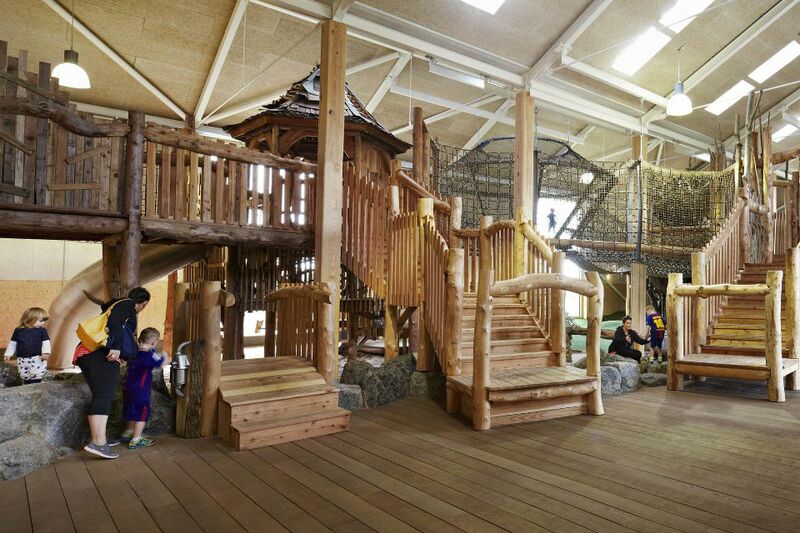 The £3m adventure park William’s Den, near North Cave is an imaginative children’s play space. 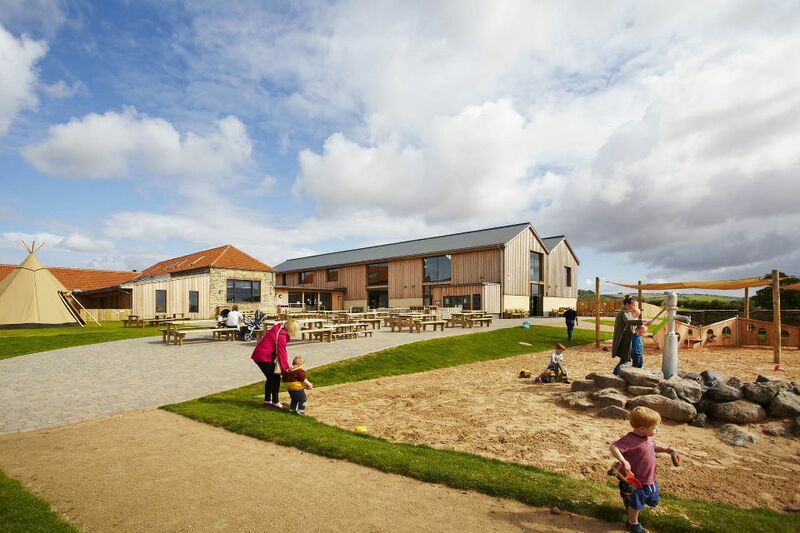 It includes a 475 sqm play barn and extensive outdoor play – including a 50m zip wire, den making area and “mountains and molehills” space for kids to run, jump and roll around freely. 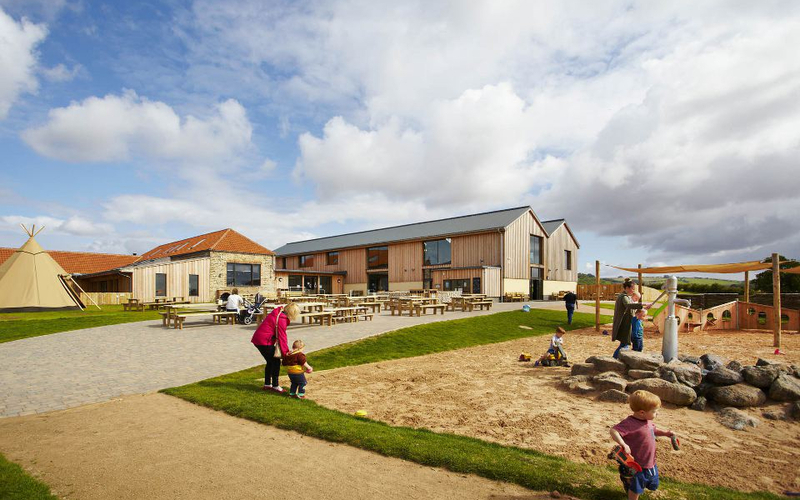 The project uses walls and feature beams from an existing barn, as well as a new construction playbarn. LEDA worked with Native architects to provide suitable draught lobbies and temperature zones within the building to keep each area comfortable with minimum heating cost. This needed to be carefully designed as large numbers of people will move in, out and around the building. The heating is provided by a wood pellet boiler which serves the new development and existing adjacent cottages. The lighting designs were worked up by LEDA in consultation with the clients and then detailed by the contractors and mostly use high efficiency LED fittings. A roof-mounted photovoltaic array adds to the environmental sustainability of the scheme. 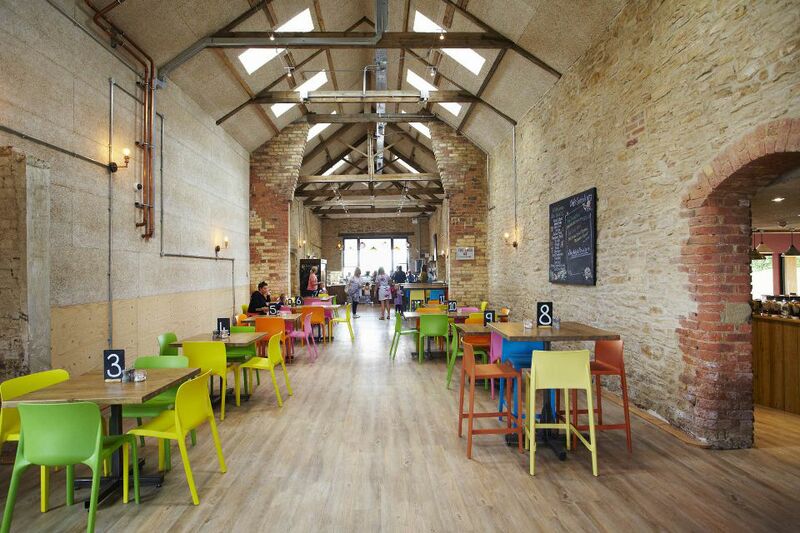 The restaurant, The Kitchen, includes wood fired pizzas in a “lovingly restored” brick barn, with homemade ice-cream and barista served coffees. Roof Solar panels provide most of the electricity. Large biomass boiler provides heat. Toilets powered by a rainwater harvest system. Majority of materials used are from natural and renewable sources. 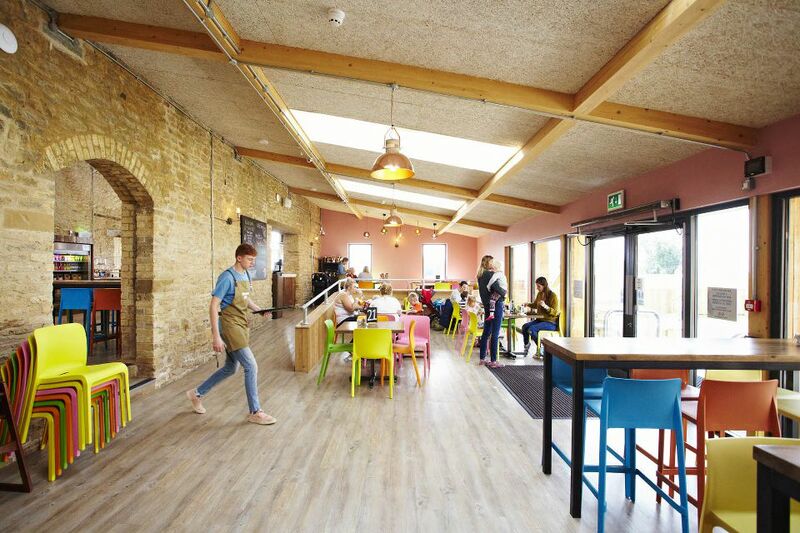 Floors include recycled ‘foamglas’, a 100% recycled glass material that insulates the floors and prevents damp. Helping reduce waste and dependence on natural resources. Yorkshire. Growing of Hemp has a very low energy need and helps remove carbon dioxide from the atmosphere. Blocks are made from the stalks of the hemp plant, then mixed with lime, to produce a Hempcrete building block which is insulative, fire proof and ‘breathable’ allowing the walls to deal well with humidity inside The Den. Wood fibre insulation boards on the roofs and walls have re-used waste materials from sawmills. The ceilings are lined with wood-wool board, a recycled waste material which also improves the indoor acoustics. 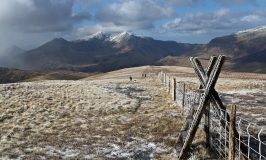 Locally sourced products such as timber cladding for The Den and handmade pan tiles for The Kitchen. 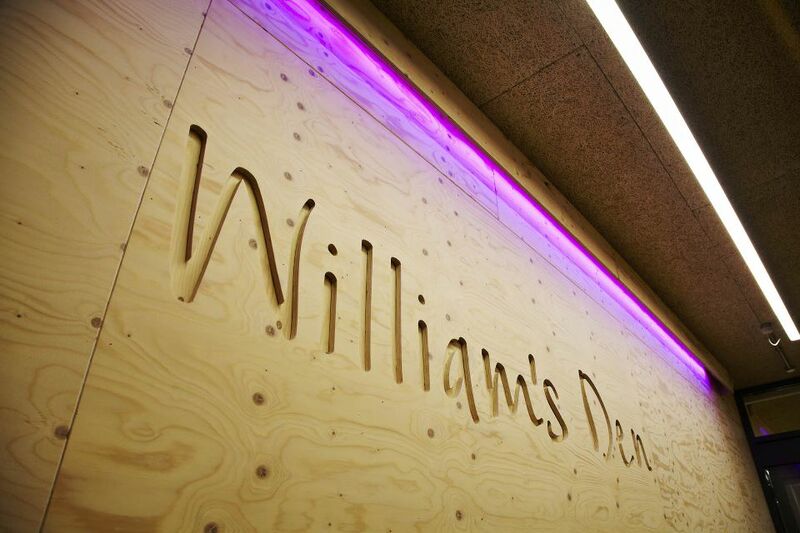 All the materials reduce the carbon footprint of William’s Den and ensure the building remains warm in winter and cool in summer.